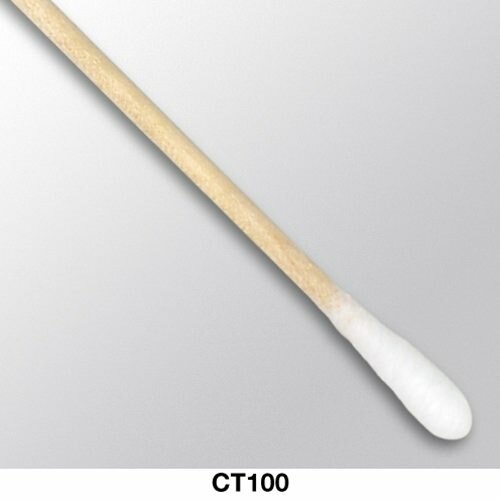 The Cottontips™ Swab consists of cotton fibers which are tightly wrapped around a wooden handle. Because of the tightly wrapped head, there is very little linting. These cotton swabs have excellent absorbency, as well as high strength especially when saturated with water. 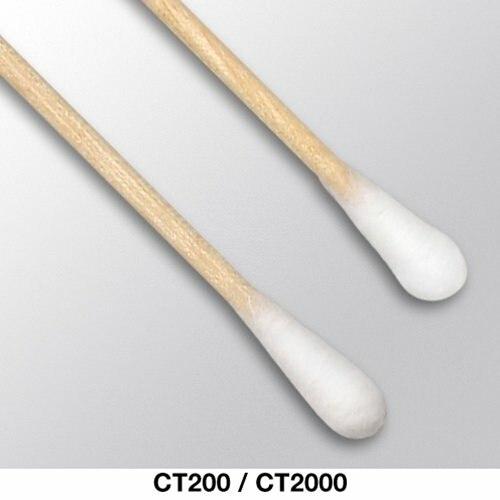 This cotton swab is designed for cleaning applications where absorbency is critical. Double Head, Cotton 0.19" x 0.63"
(15.2 cm) Double Head, Cotton 0.19" x 0.63"